A friendlier fashionista cannot be found. 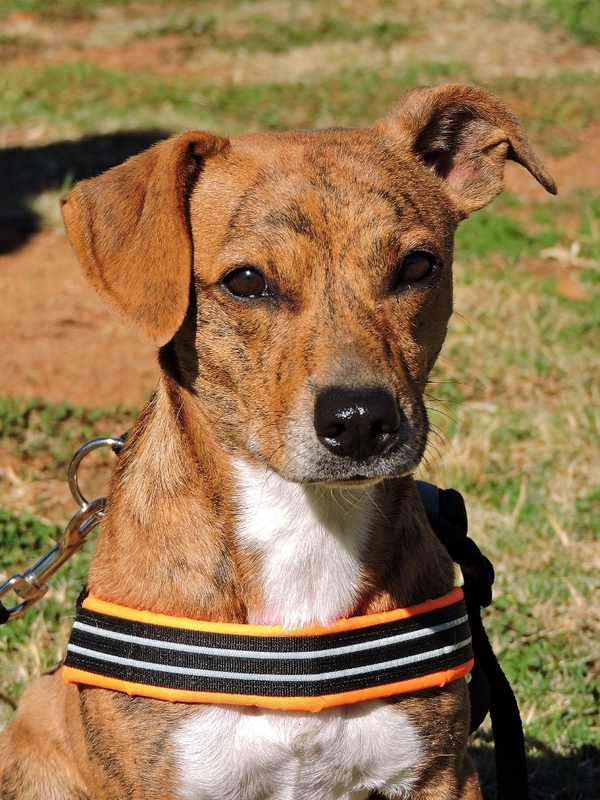 The buck stops with Roxie, a beautiful Dachshund mix, who’s looking to steal your heart. Roxie sports a smooth brindle coat and a set of matching white socks. 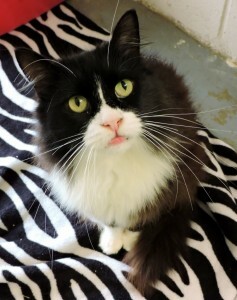 She has as much charm as she has style, and Roxie is ready to lavish it all on her new family. She’s a smaller gal, weighing only 25lb, and at a year old she’s fully grown so she is going to fit right in to living spaces large and small. 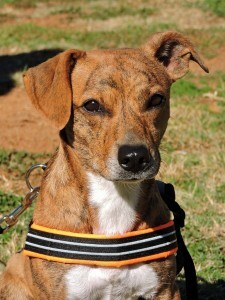 Roxie would prefer to keep her company with older children and up, and she gets along well with cats and like-minded dogs. Give this little lady a warm lap to cuddle in and you’ll learn she won’t even mind the silly holiday sweater. She knows that love is the only accessory that counts and can’t wait to show how good unconditional love looks this season. Bowtie has an air of mystery about him that sets him apart. Even in a sea of tuxedos, his luxurious, long, black and white coat is a stand out. Bowtie has perfected his manners over the past 5 years and he’s a cat who knows how to think on his feet. Clever and curious, he would love to live an indoor/outdoor life with room to breathe and explore his domain. Bowtie has little time for other pets and would much rather spend his days lavishing his human companions with affection. His purr is warm and rumbling and Bowtie is a “talker” too, always ready to mew and coo at visitors. Suave as can be, this feline may be Mr. Independent but he is the ultimate example of a loving friend. Bowtie is all set to head home for his next adventure with his new family and delight them with his majestic manners and enchanting ways.